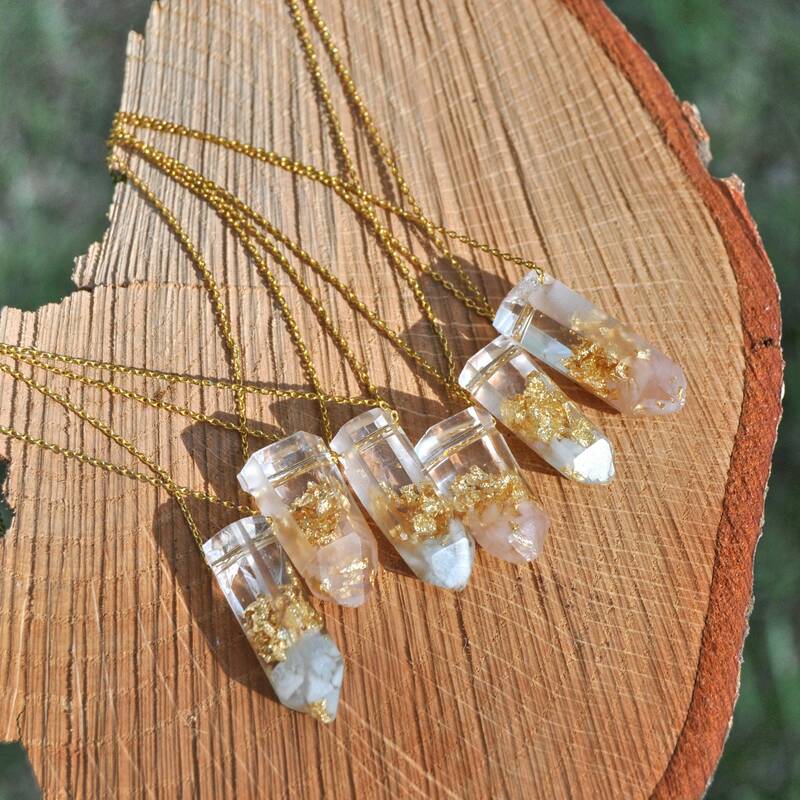 These faux raw crystal necklaces have been cast in clear resin from natural quartz crystals. 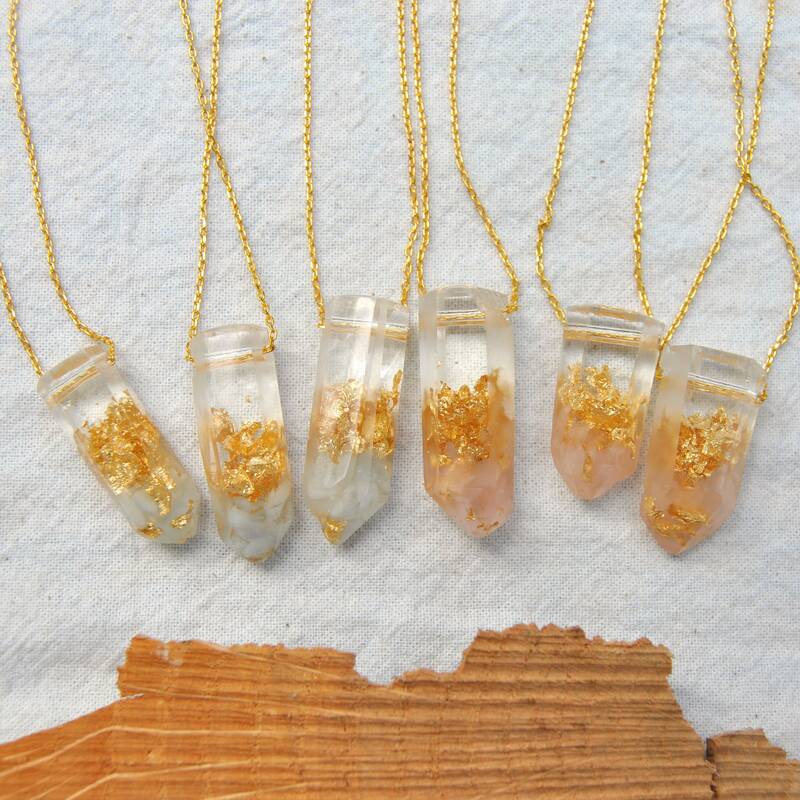 Each crystal contains several small aquamarine or rose quartz stones, along with a collection of gold leaf fragments. Aquamarine is the birthstone of March and Pisces, and is associated with Throat Chakra, calmness and wisdom. 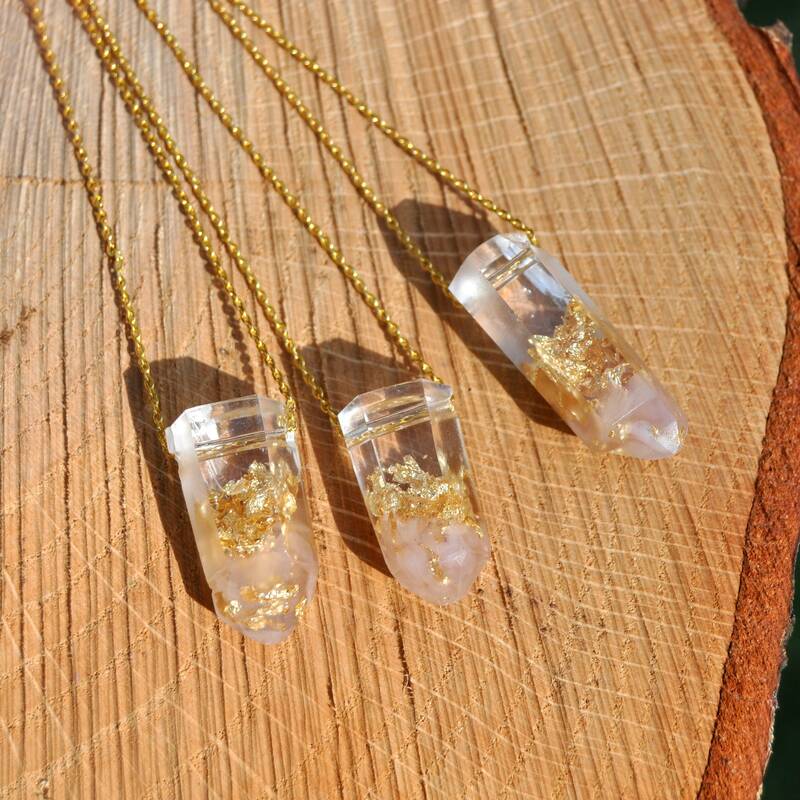 Rose Quartz is considered an alternative birthstone for October or Taurus, and is associated with the Heart Chakra as well as kindness and love. 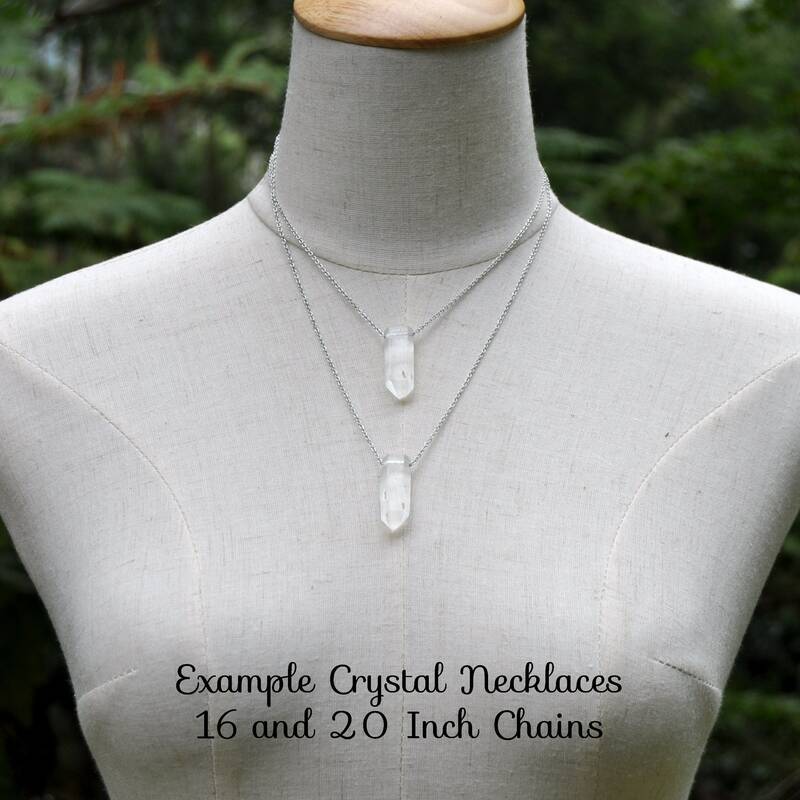 Crystals have 2-3 flat polished faces, with the other faces having a more natural 'frosted' or striated texture. 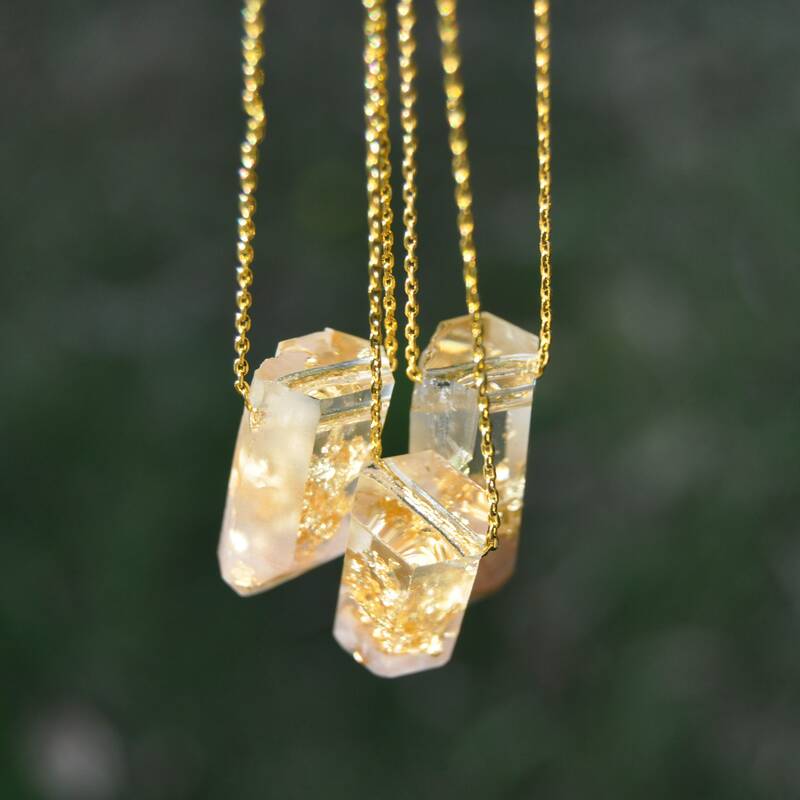 The very top of each crystal has been left glossy. 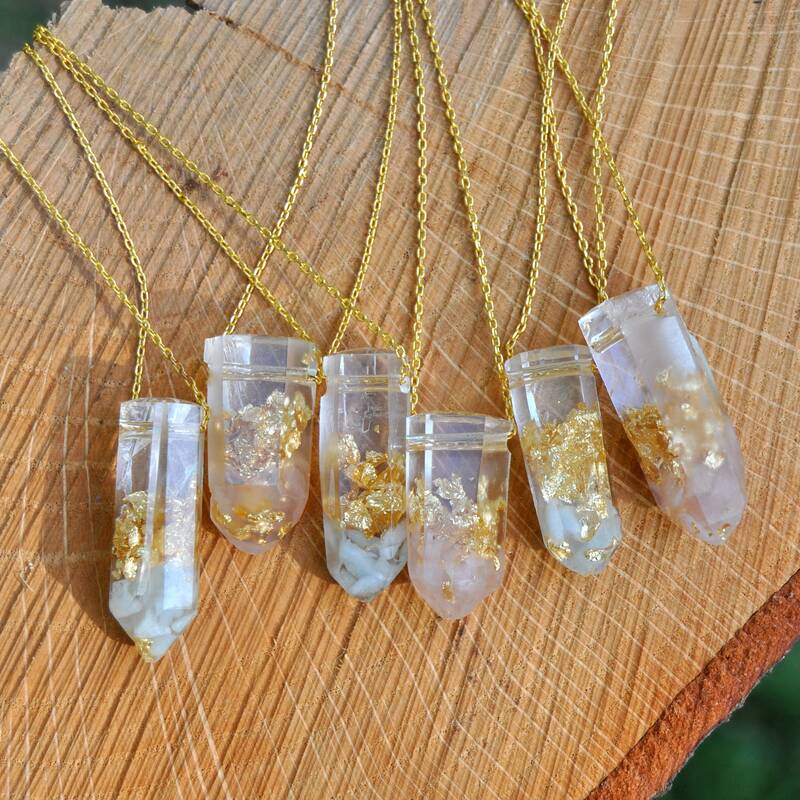 Crystals come in several slightly different variations, as each has been molded on a slightly different natural crystal. 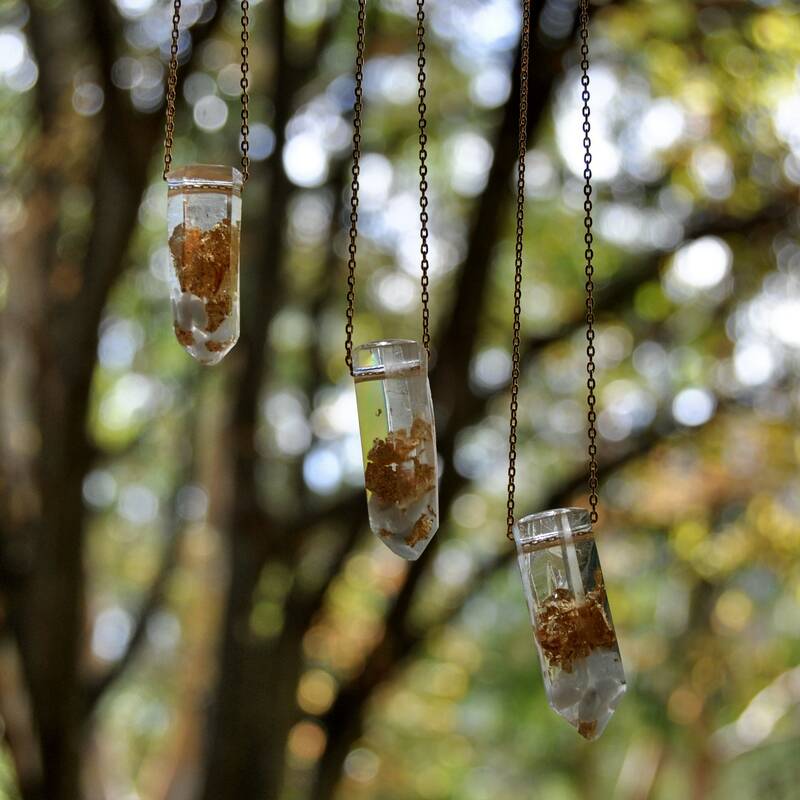 You will receive one randomly selected crystal on the chain of your choice. Chain is gold plated brass or copper, and is available in the length of your choice. Please leave a not if you would prefer a different length of chain - I make all chains to order. 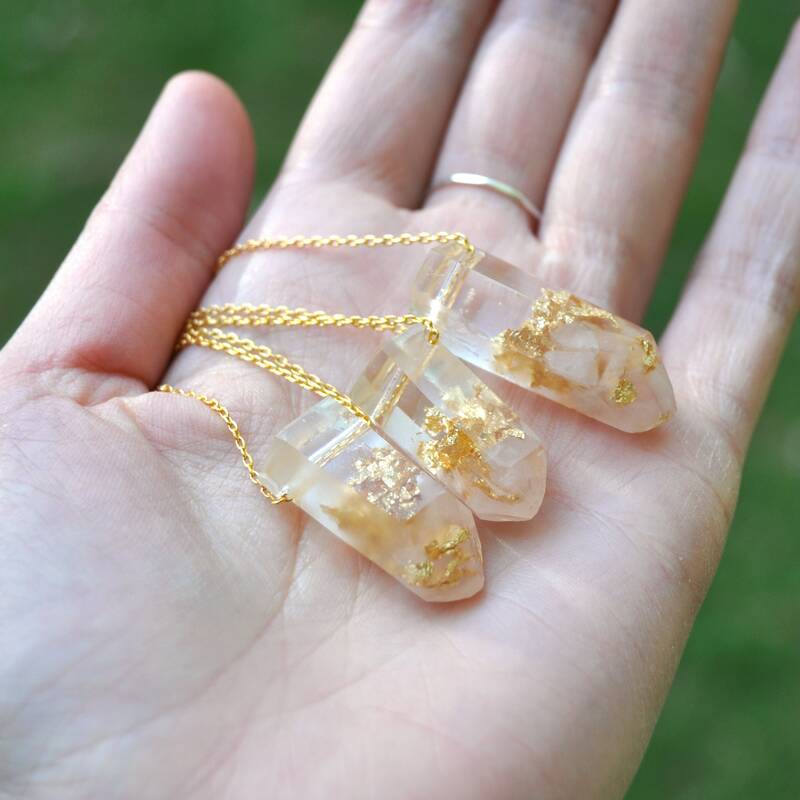 Each crystal measures 23-32 mm long and about 9-12 mm wide.